Perfect for hours of fun with your friends and increasing your knowledge of the ever elusive Bigfoot! 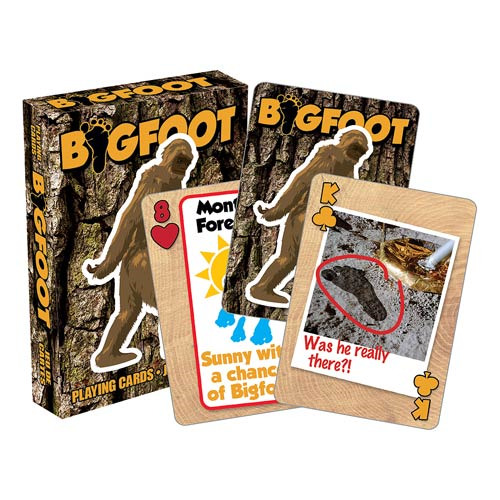 Play your favorite games with the Bigfoot Playing Cards. The nifty cards measure approximately 2 1/2-inches x 3 1/2-inches with a linen type finish. Ages 10 and up.